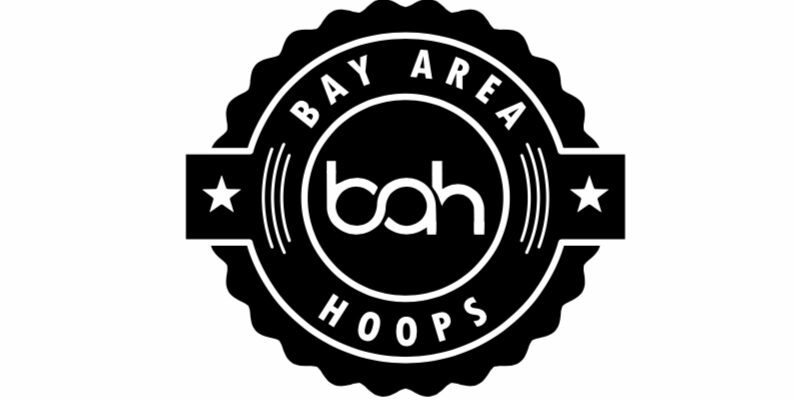 Apopka, FL – The Best of the Best held last week had Bay Area Hoops traveling a few hours to scout some of the best up coming talents in the State of Florida. Lets check out some of the top performers on that weekend. Sean Stewart– F Lake Highland Prep displayed a good balance of length and skill. Stewart was always in the right place at the right time. He showed he can make shots around produce. His talents are still growing! Jason Jackson– G Booker Middle School provided energy on both ends. Big motor player who stays in attack Mode and probably the best scorer in the field, Jackson was assertive from start to finish. Osmar Garcia– F Riviera Prep took up space with his size, was a big target for his guards and created his own inside and outside shots. At 6’5” he was athletic and very active in the paint area. Rebounded on both ends and finishing around the rim are things he did at an elite level. More active movement and shot consistency from beyond 12 feet are things that will take this prospect game to the elite level. Joel Harrison– PG Benito Middle School showed that he’s not just effective offensively but made some defensive plays to be impactful. Harrison who is a familiar face to BAH, has been known for his ball handling skill set and capabilities to score. Harrison gets better in each viewing. Jaylen Smith– PG Ocoee Middle School is showing more consistency running the offense. Starting to grow into that General like PG. His ball handling skills, court vision and play making abilities are on an elite level. Eberson Charles G Ocoee Middle School was eye catching because of his efficiency. The lefty made use of all advantage scoring opportunities, either slashing without the ball, flashing out for the 3 or going of the dribble. Charles was a nice suprise this past weekend. He has excellent ball skills and can score the rock at will. Christopher Rios PG Parkway Middle School can complement any backcourt. Smooth, crafty of the dribble and highly intelligent. Rios had a solid overall performance and as he matures mentally look for his game to take the next step. Jessiah Pierre Johnson G has always had the size but know we’re seeing the skill. Had no issues breaking defenders down and maneuvering in the paint. You could tell just by watching the way he moved that he knew how to play. Gregory Spate F of Coral Springs Middle School has a game that is good beyond his years with no wasted dribbles and great efficiency. He doesn’t make many turnovers, is a decent shooter from the outside and smart with the ball in his hands. Tristan Gross SG of Skycrest Christian keeps growing on us and continues to show that he’s more than just a shooter. After a few viewings, we see he can create of the dribble, find the one option and is highly coachable. Michael Zhang PG was unknown to us entering today but ending up a household name. Very talented player with a good skill set for a guard, nice stroke in his jump shot and we hope to see him again. Shang made plays from all over the floor and showed why many talked about him before he even played, expect him to be a priority recruit soon. 2026 PG Dwayne Foreman, Groveland Elementry has a natural ball handling skill. Dived in and out of traffic plus put pressure on interior defenses. Foreman made it a point to standout in games. Offensively, he made plays off the bounce and should be an interesting PG to watch grow! 2026 G Oneal Delancy, stayed active on both ends and was aggressively active offensively. The youngest of the Delancy family and coming from a long bloodline of athletes, we think it will spill over into young Oneal. 2025 PG Jalen Reece, Lockhart Middle School is coming up fast! He’s learning the position and make good choices. A coach’s son who is getting groomed, plays just the type of heady floor game you’d expect and that’s the reason he showing maturity with the ball. He was able to make shots in both the mid-range area and beyond the arc. 2024 6’2” Solomon Williams, Slightly MS is on the right path. Showed he can be a good post player by displaying good footwork, hands and size. He’s both competitive and consequently productive at both ends. 2024 G Julian Granville, Montverde Academy made efforts to attack the basket at every giving chance, a advanced ball handler and a player that can make an impact. Granville is high energy, never takes a possession off and is capable of imposing his will at this level on both ends of the floor. 2024 Casey Etienne Of Lyons Creek Middle School is a dynamic PG with the ball in his hands and able to make huge plays and impact outcomes of games. Etienne has the speed and quickness to flurish in the open court. One of the better 7th grade PG’s there. 2024 Tyler Johnson F of Wolf Lake Middle School has size and strength that are assets inside but long-term He can enhance his abilities by utilizing his quickness and playmaking skills. Johnson has the potential to evolve into a good player. 2024 Maddox Gali G Victory Christian is a very solid player with an decent floor game, Gali is skilled and versatile for a young player. He’s a good all-around player and reliable with the ball in his hands. He’s also a quality finisher in traffic as well. 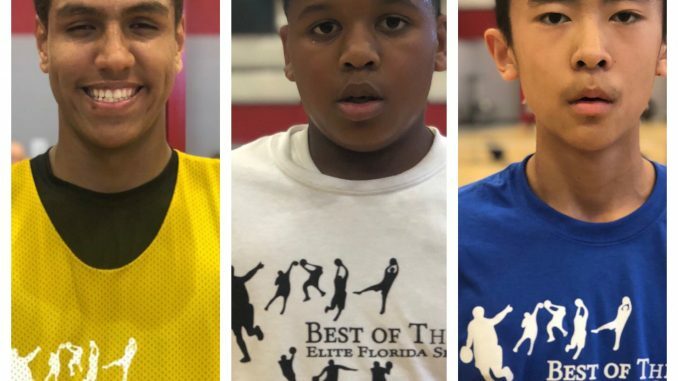 2023 Kaven Call F Orangewood Christian was a major mismatch problem! Call combined good size and strength at his age with an ability to create offense for both himself and his teammates. He can hit jumpers or get to the rim to keep defenders guessing from start to finish. 2026 G Antwain Tennell Jr., Bushnell Elementry played tough on both ends and showed he can compete. His activity would catch your eye initially but it was the little things on the defensive end that really separated him from his peers. 2026 G Siam Morris, Weightman Middle School is undersized but plays much bigger than he truely and has an creative ability to finish inside amongst bigger players. He’s also a competitive defender who can get under opposing ball-handlers skin to constantly add pressure to force turnovers.